The CentOS team will have a booth in the Exhibit Hall for the 2014 cPanel Conference at the Westin Galleria hotel in Houston, Texas from September 30th to October 1st 2014. CentOS Board members Johnny Hughes (that's me :D) and Jim Perrin will be at the booth whenever the hall is open. We are looking forward to lots of discussions and we will have some swag to give out (Tee Shirts .. including the new 10 Year Anniversary tee, Stickers, etc.). We will also be happy to install CentOS on your laptop (or let you do it) ... or if you have a USB key available, we will put a CentOS iso on it for you to use for install later. If you are going to be at cPanel 2014, come on down and see us! 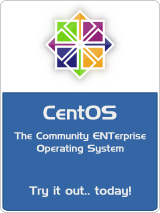 The CentOS Linux 5.11 distribution for both the x86_64 and i386 architectures is now released. Please see the Release Announcement and Release Notes for more details. If you have any other questions about this issue, you can ask on the CentOS mailing list here.